Businesses that are ready to grow must be able to financially back up their projected growth financial sources that meet their unique needs. This can be done by using profits that have been building up over time or securing a line of credit. Regardless, if you want to achieve sustainable growth, you have to have the financial safety net to secure you throughout the transition. Production is booming, demand is high and you are humming along at full capacity, so you decide to take on more work – then a little more. Why not? More work just translates to more profits, right? Just about the time you think business couldn’t get better … crash! Now it feels like you’ve bitten off more than you can chew and instead of riding the high you are drowning. Sometimes, during times of high demand, businesses will begin to take on more work than they can handle. What happens is that they soon find out that even though it may take them 60 or 90 days to get paid for a job, they still have to pay their employees weekly. Meanwhile, they find themselves running low on cash, not able to keep up with their growing expenditures. Businesses that are ready to grow must be able to financially back up their projected growth financial sources that meet their unique needs. This can be done by using profits that have been building up over time or securing a line of credit. Regardless, if you want to achieve sustainable growth, you have to have the financial safety net to secure you throughout the transition. Before you dive into a major growth strategy, such as a merger, acquisition, adding a location, providing additional services or diversifying your business, you must be sure you have the proper dashboards and key performance indicators in place. Furthermore, monitoring these tools will provide you with the data needed to make timely alterations throughout your company’s growth process. For example, if you notice that your profits are beginning to decline, you can proactively look for new ways to manage your cash flow strategy. When you continue to monitor key performance indicators, you have the ability to stay on top of any issues that arise while helping you achieve the growth you are seeking. While your ability to maintain a profitable business is the goal, you can’t accomplish that goal without taking care to manage your cash flow. If it’s been awhile since you updated your cash flow (or maybe you’ve never put one together), don’t put it off any longer. To get back on track, start with the information already available to you (your budget, current financial statements, accounting data, etc. ), then start planning ahead. For example, if you are expecting your production or workload to increase, you should expect to absorb more cash flow to support your efforts. Then you can use your cash flow projection to glimpse into your company’s future. See anything that may be concerning? 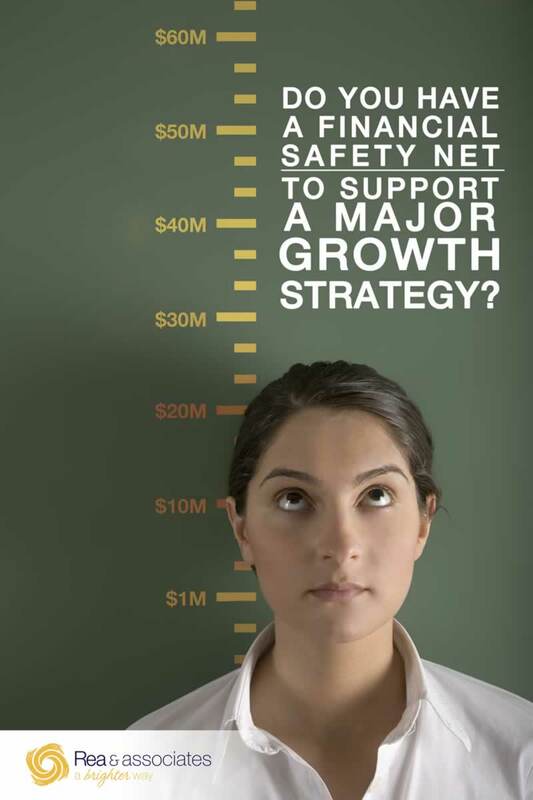 If so, you can take proactive measures to prevent against a projected shortfall or any other crisis. Even though you may think you have a good idea of what the next three, six or nine months will look like, it’s difficult for even the best and brightest businesspeople to know for certain what the future has in store. Your cash flow will provide you the peace of mind needed to manage your business successfully regardless of how much the world continues to change. Don’t let too much growth lead to the demise of your business. Email Rea & Associates today to learn how you can use cash flow to take your business to the next level. Want to learn more about the importance of cash flow? These articles will provide you with the insight you need to succeed in today’s rapidly changing market.